The dreaded dead battery can still transform your all-singing, all-dancing smartphone into a useless brick. Battery life remains a problem for phones, which is why it’s a good idea to stow a portable charger in your bag or car. Power banks can be really handy when you’re between outlets. 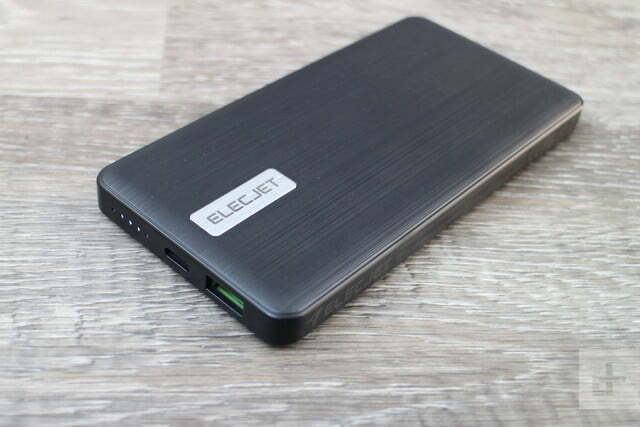 We test a mountain of portable chargers every year in search of the best, so it takes something a bit special to impress us, but the Apollo Traveller from Elecjet has done exactly that. 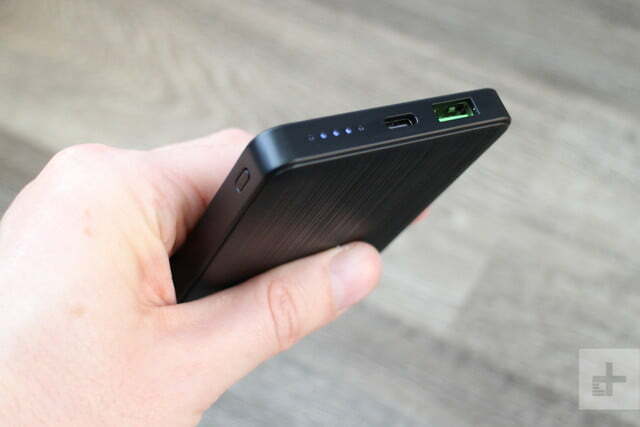 At first glance, the Apollo Traveller appears to be like any other portable charger. It is almost exactly the same size as an iPhone XS, just a little thicker. It’s covered in black plastic, with a textured finish top and bottom, and an inlaid metallic panel that bears the Elecjet logo. There’s a button on the side that brings the white LED array on the end to life to show remaining power. Next to the four white LEDs, denoting 25 percent each, there’s a USB-C port and a USB-A port. 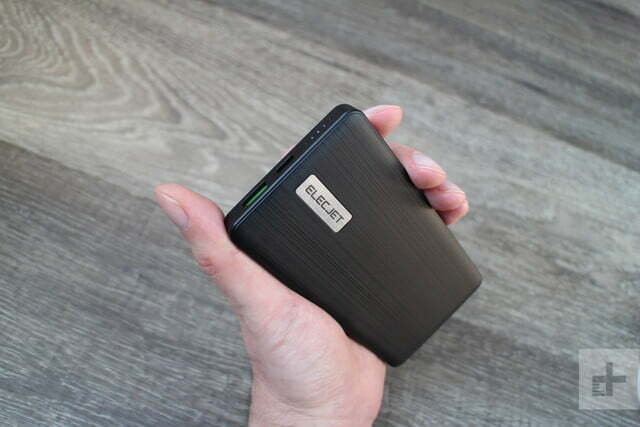 The capacity is 5,000mAh and it comes with a USB-C to USB-C cable. So far, so typical. What makes the Apollo Traveller worthy of your attention is its performance. The USB-C port supports Power Delivery (PD) and can supply up to 45W, while the USB-A port is capable of outputting up to 18W. 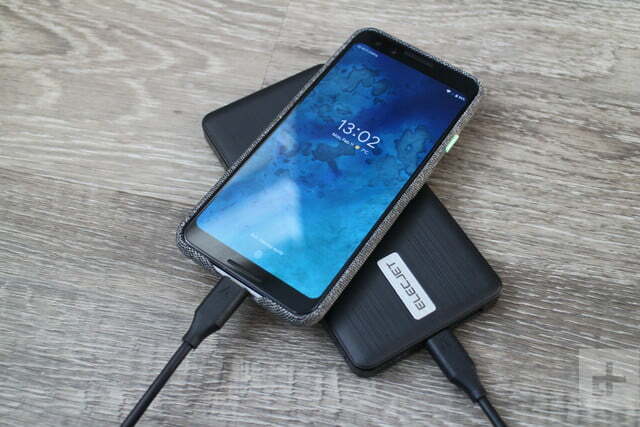 We’ve tested it with a Pixel 3, an iPhone X, and a Huawei P20 Pro and the Apollo Traveller was able to charge each one at top speed. The only phone it didn’t fast-charge that we’ve tested so far was the OnePlus 6. 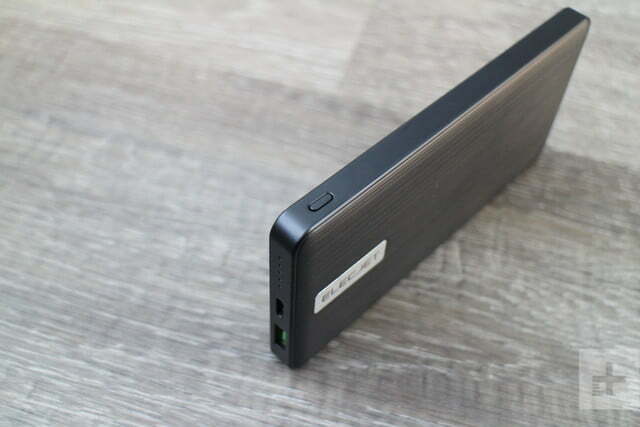 Now, portable chargers are improving all the time and this isn’t the first USB-C PD power bank we’ve tested, but beyond its ability to charge up your smartphone rapidly, there’s more to recommend this device. Perhaps the best thing about the Apollo Traveller is the fact that you can charge it up in under 20 minutes. 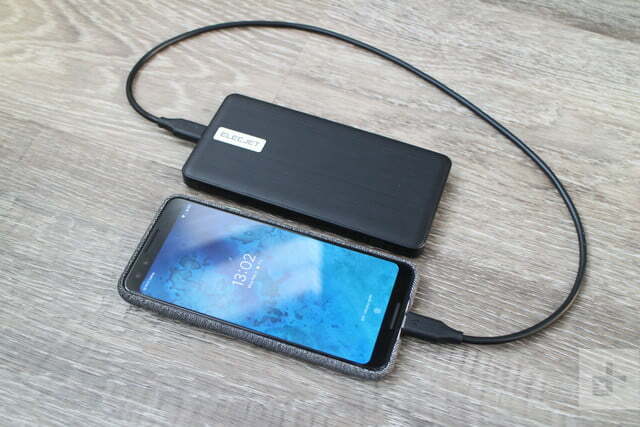 Using the USB-C cable provided and a wall charger capable of outputting 60W, the Apollo Traveller can go from zero to 5,000mAh in just 18 minutes. That’s incredibly fast compared to other portable chargers. What surprised us even more is that this power bank doesn’t heat up in normal use. 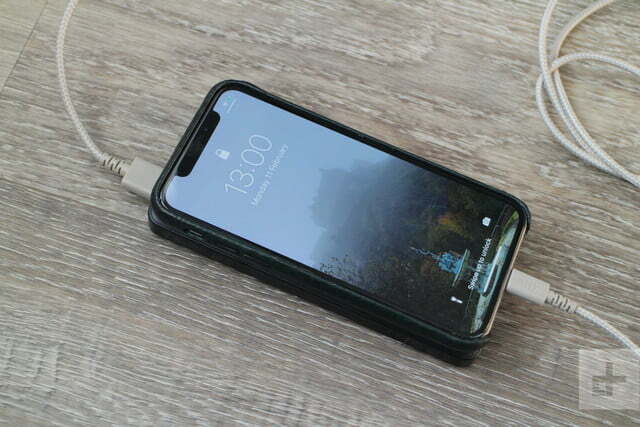 It was only when we plugged it in to charge and plugged an iPhone into it — yes, it supports pass-through charging as well — that it began to get warm. Most portable chargers get warm just charging a phone. Elecjet says this is down to the graphene composite material used in the compact, single battery. Elecjet claims that this technology also results in much more efficient performance, allowing the Apollo Traveller to achieve charging efficiency of 96 percent and last for 1,500 fast charging cycles, when most power banks only manage around 80 percent efficiency and promise 500 cycles. 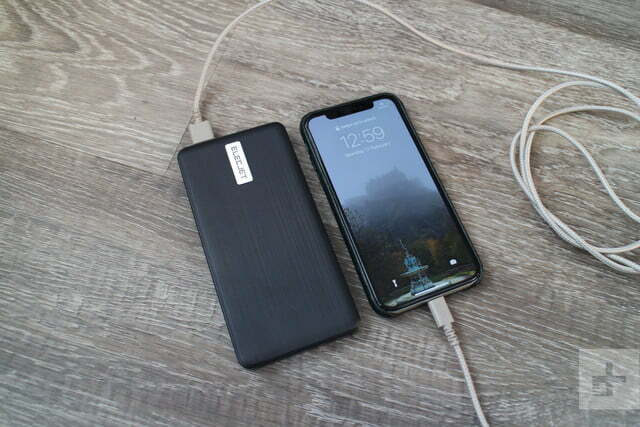 We can’t verify the longevity, but it definitely stays cool and we used it to charge up multiple devices so it looks as though you can expect to get very close to the 5,000mAh capacity out of it. That’s going to be enough to charge something like an iPhone XS or a Pixel 3 twice from around the 20 percent mark. It would be fair to say we were skeptical about Elecjet’s claims when the Apollo Traveller arrived, not least because of the shoddy English translation on the box and the fact that it’s launching on Kickstarter. But so far, so good. The capacity isn’t great, but the charging and recharging speeds are fantastic. We also love the fact that it doesn’t heat up when charging your phone and it’s a good size to comfortably hold. You can buy your very own Apollo Traveller at Kickstarter for $59, which is a discount on the final $79 recommended retail price. However, since you don’t get a 60W power adapter in the box (and most people don’t have one lying around), we’d advise paying $74 to add one into your bundle. As always, be mindful of the potential pitfalls when backing a crowdfunding project.